Why do I need Internet Explorer in Linux meanwhile I have a more power full and faster browser like Firefox? The main reason are some sites only can be accessed using Internet Explorer, for examples Bank websites, and, if you are a web designer and you need to test your sites. IE4Linux is only on run on Windows. So, if you want to run on Linux, you need a simulator like Wine. IE4Linux is free open source. The installation is not difficult. Step 1. Download the source code. Open your browser and open www.tatanka.com.br/ies4linux/page/Main_Page. Then click ‘Download’ button at the top right menu. How to burn DVD with K3b in Ubuntu Gutsy? Before I start, I assume that you have installed K3b in your system and it recognizes your DVD writer. And if you don’t, you can read my articles about how to install the K3b in here. Writing Data to a DVD (DVD burning) is not difficult with K3b. Enter your empty write-able DVD disc into your DVD Writer. From the K3b main menu, just click ‘New Data DVD Project‘. If you use K3b for the first time, you will get confuse this error. You think that you have put your write able DVD disc inside your DVD writer but why K3b still says that there is no disc inside. This error occurs when you try to burn a DVD with more data that it can hold. For example, if you see on the screen below, I try to burn 7.3 GB in a standard write-able DVD disc with at 4.7 GB capacity. It mentioned that I still have 630.8 MB free space. The color bar is still green. Seem that everything is alright, but it is not. K3b doesn’t recognize your DVD capacity. If you use a standard DVD writer then it will be no problem because the default size is 4.7 GB. But, if you use a Double Layer DVD writer then it will be a problem because the default capacity is 8 GB. So, whether you put a standard DVD disc or a Double Layer DVD disc, K3b will always recognize as 8 GB capacity. As long as you know your DVD disc capacity then it will be no problem. 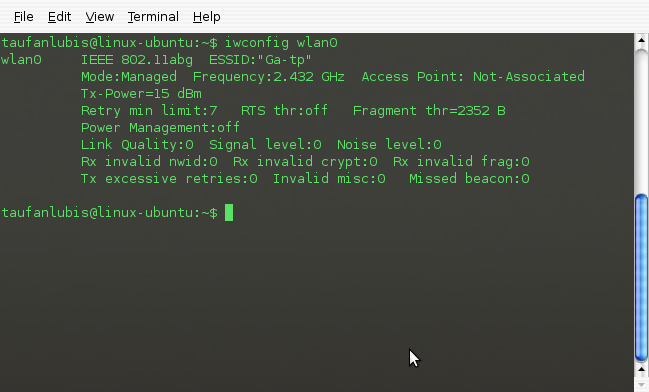 How to burn CD with K3b in Ubuntu Gutsy? Before I start, I assume that you have installed K3b in your system and it recognizes your CD/DVD writer. And if you don’t, you can read my articles about how to install K3b in here. Enter your empty write-able CD disc into your CD Writer or CD/DVD Writer. Writing Data to a CD (CD burning) is not difficult with K3b. From the main menu, just click ‘New Data CD Project‘. 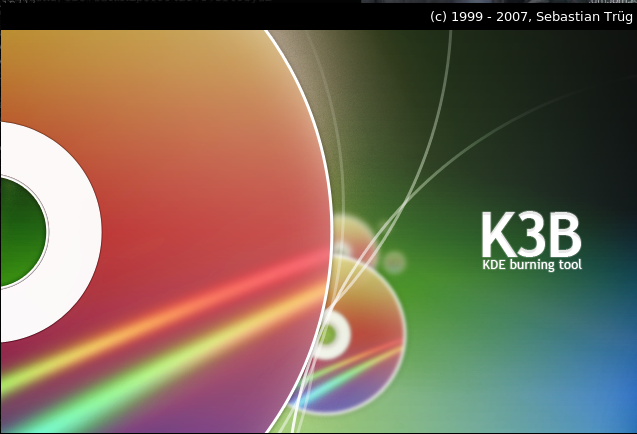 K3B is a burning tool designed for KDE but you still can run it on Gnome. The menu is simple even for a new user. You will know how to use it in a minute. There are so many things that you can do with K3b. Burn CD or DVD ISO image. 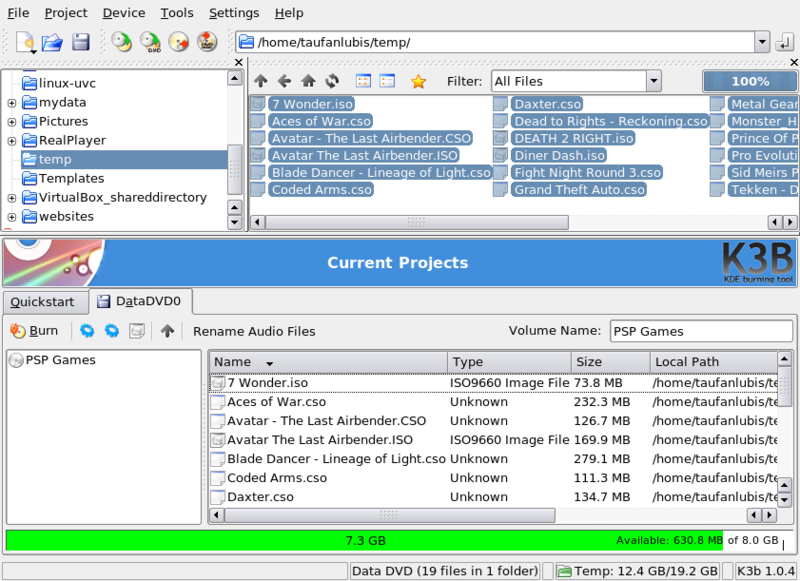 I think K3B is one of the best CD and DVD burning tools in Linux.